Mrs. Almeter Stewart was born on April 30, 1950 in Fort Valley, Georgia to the parentage of the late Alvin Holloway and Corintha Jackson. She attended Hunt High School, Fort Valley, GA. and graduated in 1968. She entered Fort Valley State University in 1968 and completed her student teaching in Columbus, Georgia. She graduated in 1972 with a Bachelor's Degree in History Education. She continued her educational studies at Georgia Southwestern University in Americus, Georgia. After college she married Willie Gray who preceded her in death. She taught history at Northside High School in Warner Robins for 30 years and 8 months. During those years, she spent her entire career focused on the students. A gifted lecturer; counselor and mother figure. She was well noted for her strong sense of humor. She retired from Northside High School in 2002. In 1987 she became a proud parent to her only child, daughter Tiffany, whom she loved and adored. In later years she married Jackie Stewart and he too, preceded her in death. 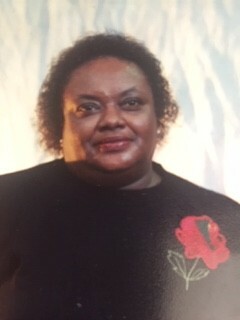 She received the gift of salvation in 1992 and became a member of Shiloh Baptist Church in Fort Valley, Georgia under the Pastoral Leadership of Reverend Morris Hillsman. On Saturday, April 6, 2019 the LORD called her back home. Almeter leaves to cherish loving memories: a devoted daughter, Tiffany Gray of Fort Valley, GA.; four special cousins: Teresa Walker, Norman Walker, Tracy Ellis, Sandra Ellis and a host of other relatives and friends.